Gladys (?) married Clarence Houghton in circa 1921 age 49 and 31. Phyllis Bush married Dr. Kenneth G. Houghton DDS, son of Harry S. Houghton and Amanda (?). 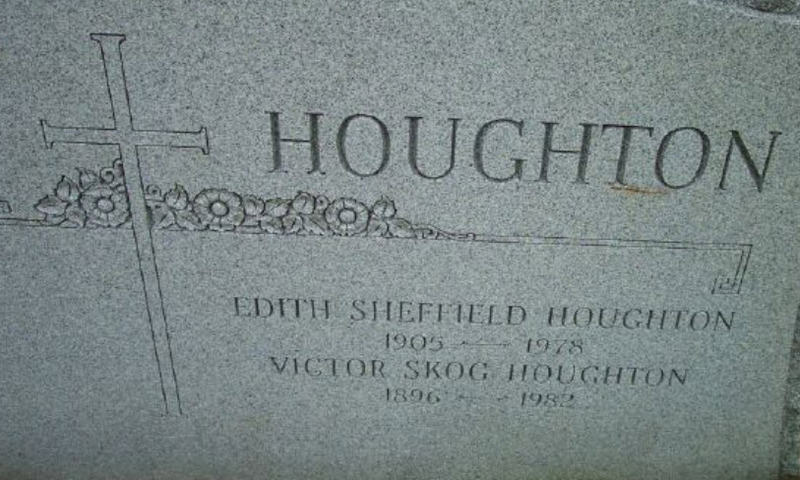 Victor Skog Houghton married Edith Arbutus Sheffield in circa 1924 age 28 and 19. Elijah Howton married Loutissa Ann Manasco in 1855. Loutissa Ann Manasco married Elijah Howton, son of Abraham Howton and Assella Dorcas Castleberry, in 1855. Thomas Jefferson Howton married Mattie Gertrude Raby in Aug 8, 1888. 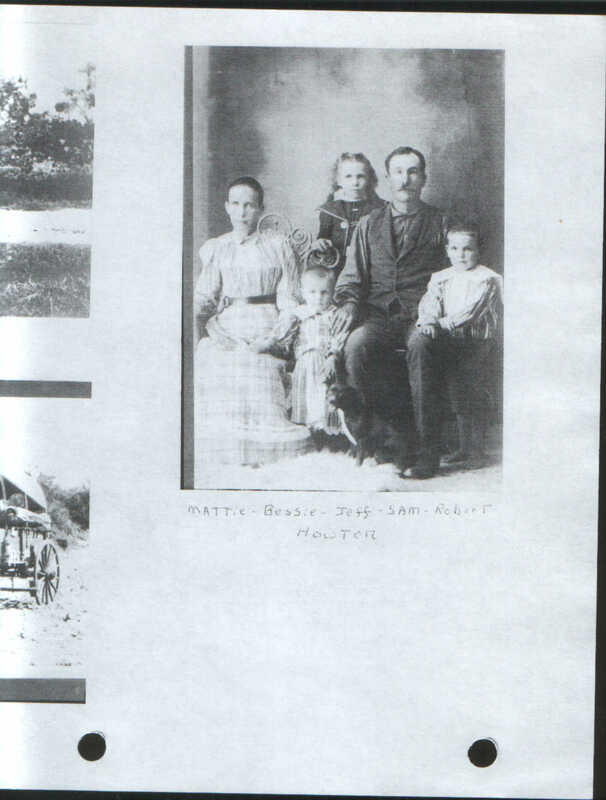 Mattie Gertrude Raby married Thomas Jefferson Howton, son of Elijah Howton and Loutissa Ann Manasco, in Aug 8, 1888. Minnie Goldie Howton married John Clevie Dickerson in Jun 21, 1919. John Clevie Dickerson married Minnie Goldie Howton, daughter of Thomas Jefferson Howton and Mattie Gertrude Raby, in Jun 21, 1919. Eleanore Diskin married Bernard Seaver Houghton, son of Percy Chester Houghton and Edith L. Seaver, in 1939. Anita Elizabeth Houghton married William Joseph Isherwood. William Joseph Isherwood married Anita Elizabeth Houghton, daughter of Bernard Seaver Houghton and Eleanore Diskin. Steven Scott Isherwood married Melissa McCollum in Aug 5, 1989. Melissa McCollum married Steven Scott Isherwood, son of William Joseph Isherwood and Anita Elizabeth Houghton, in Aug 5, 1989.